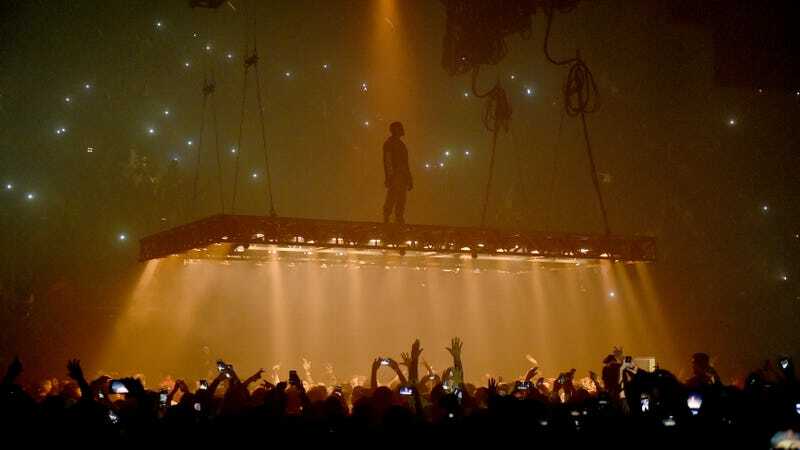 In 2016, Kanye West suddenly canceled his Saint Pablo Tour after a series of bizarre performances, followed by West checking himself into the UCLA Neuropsychiatric Hospital Center and suing the tour insurers for refusing to pay out his claim. The insurer, Lloyd’s Of London, then countersued on the grounds that West’s behavior was the result of “pernicious influences” (specifically marijuana and not any mental health issues). Now, TMZ is reporting that West has settled the lawsuit after Lloyd’s Of London caved to “massive pressure” from his lawyers. TMZ doesn’t have exact numbers, but Lloyd’s reportedly agreed to pay out “most” of the $10 million that West wanted. Part of this has to do with TMZ’s assertion that West’s medical records don’t corroborate the claims of pot use, along with the insurer’s desire to avoid being hit with “huge punitive damages.” Now, with this matter settled, maybe West can get back on Instagram.